Though being a son of a popular comedian, Goutham didn’t earn much fame with films. After giving an entry with ‘Pallakilo Pellikoothuru’ in 2004, he did ‘Basanti’ last year. In between he didn’t do a single film and stayed low on films. He thought of having a hit comeback with ‘Basanti,’ promoted the film with heroes like Mahesh Babu and Pawan Kalyan, even though his fate didn’t change much, as the film was an average. Now, Gautam has accepted a new story that will be directed by Ramesh Desena, who worked as an associate near Gautham Menon. In this film, Goutham is said to play the role of a thief. 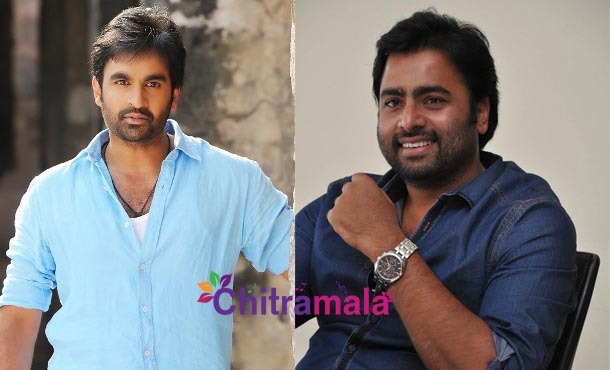 Another hero Nara Rohit will also play a crucial character in this film. While Goutham is the thief, Rohit will be the police officer in this crime thriller. Rohit, who was approached by Ramesh, was satisfied with his character and was happy to work with Goutham. Recently, Rowdy Fellow and Asura saw the Nara hero as a police officer. Currently, Rohit is lined up with half a dozen films, so “Vaade Veedu “ could most probably start once Rohit finishes a couple of films.